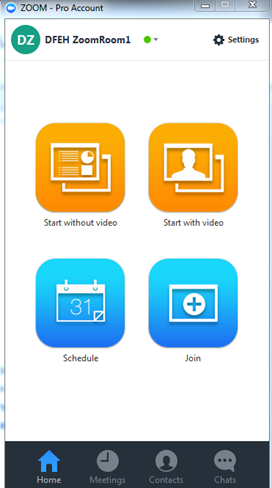 Click on “Start with Video”. 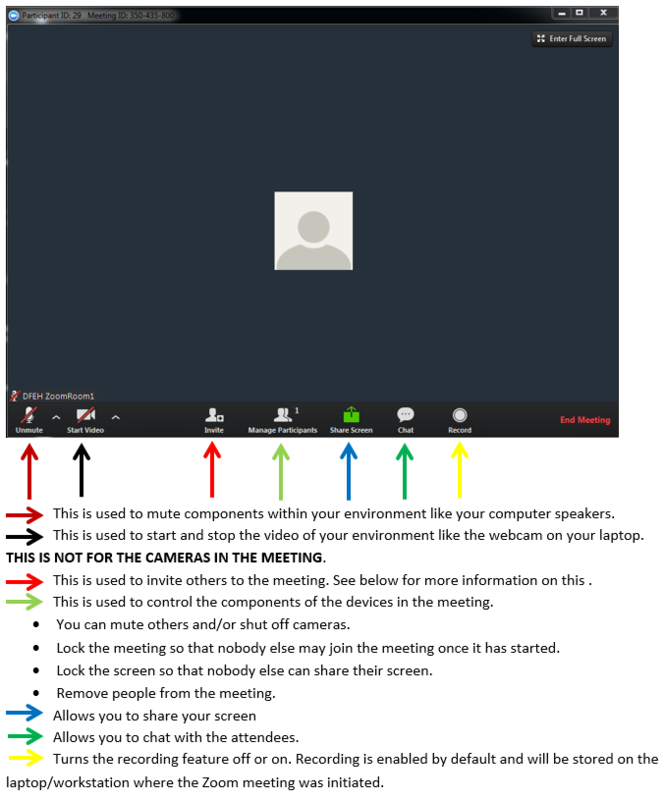 To “invite” any of the PolyComs, you have to “invite” the attendee(s). 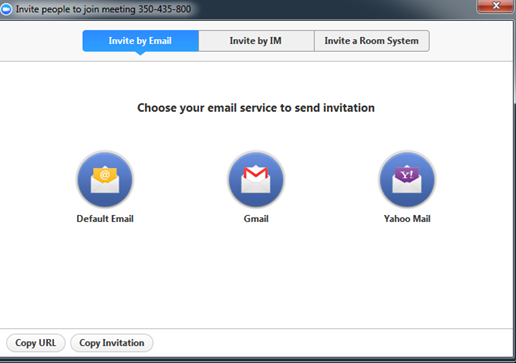 Click on “Invite”. 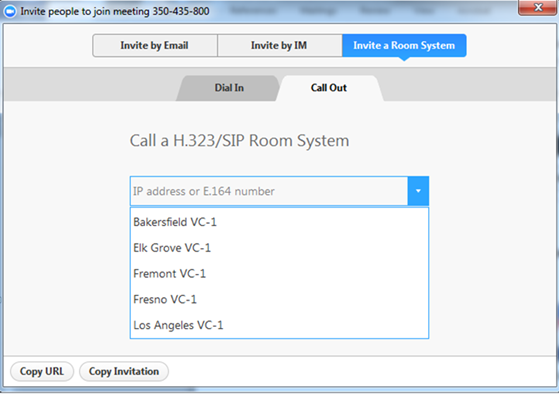 Select “Invite a Room System” and “Call Out”. 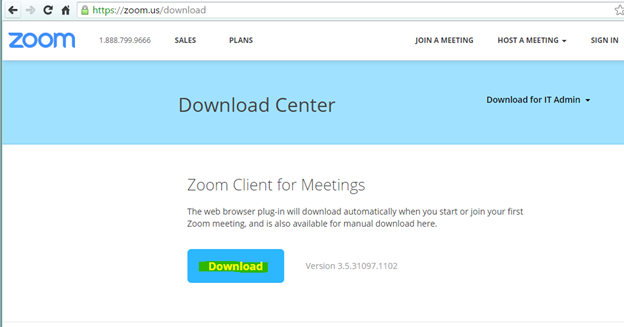 Under the drop-down arrow, you will see all the PolyCom Room Systems within DFEH. 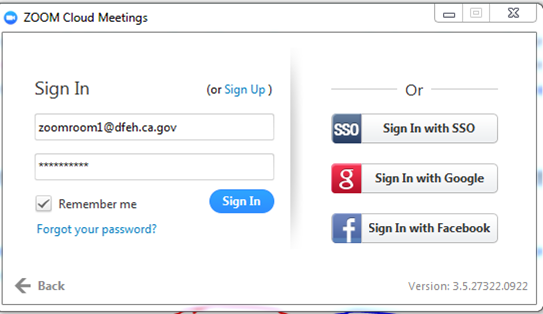 There are already configured room systems throughout DFEH, one per site. The rooms are site location, eg, Elk Grove, Fremont,etc. and then the name of the system, VC – 1. 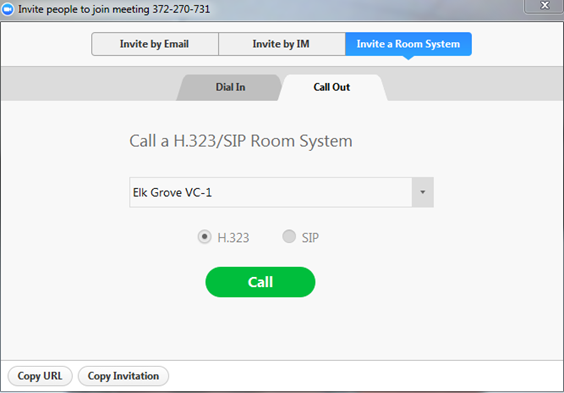 After you select the room system, click on the green “Call” button. 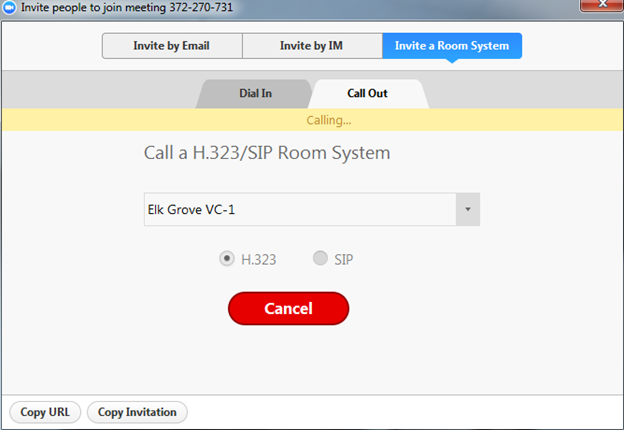 Once you “Call” the room, the recipient of the meeting invite must accept the invitation or else the meeting invitation will time out and end. Continue steps 7-9 until all the attendees are in attendance.